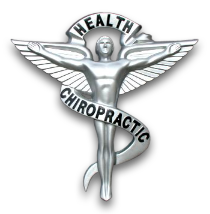 For over 40 years Valusek Chiropractic has been the Imperial Valleys premier source for evidence based, patient centered chiropractic care. Utilizing the latest in treatment protocols and techniques. Patients seeking treatment at Valusek Chiropractic with both Dr. William P. Valusek and Dr. Matthew J. Valusek are assured of receiving only the finest quality care through the use of modern chiropractic equipment and technology. All of us at Valusek Chiropractic have a genuine concern for your well-being!